You would be hard-pressed to find a Lewisville, Texas roof replacement and roof repair resource with a better reputation than Roofing & Remodeling of Dallas. We have been standing tall since 1983, and this says a lot about our customer satisfaction rate. Plus, you don’t have to take our word for it. When you have been installing and repairing roofing systems for over three decades, you interact with countless homeowners. It takes a lot of consistency to maintain an A+ rating with the Better Business Bureau, but this is exactly what we have done. Lewisville is one of the true jewels of Denton County, and people have been taking notice for years. It is one of the fastest-growing cities in the country, and there are very good reasons why it is becoming a magnet for people that are looking for an exceptionally high quality of life. The climate is nearly perfect, and Lewisville Lake is one of the most desirable recreational areas in the region. Life is good in this fine community, and we are proud to be able to serve its residents. From the Fish Hatchery Road section to the Music City Mall area to the FM 407/McGee Lane neighborhood, for roof repair and roof installation Lewisville, Texas can always rely on Roofing & Remodeling of Dallas. It takes a lot of dedication and commitment to your craft to make the cut and join our team as a roofer. Our people out in the field are highly skilled professionals that take what they do very seriously, so when they undertake a roof repair project, you can rest assured that it will be done right. At the same time, they cannot work miracles, and sometimes a new roof installation is the only option. 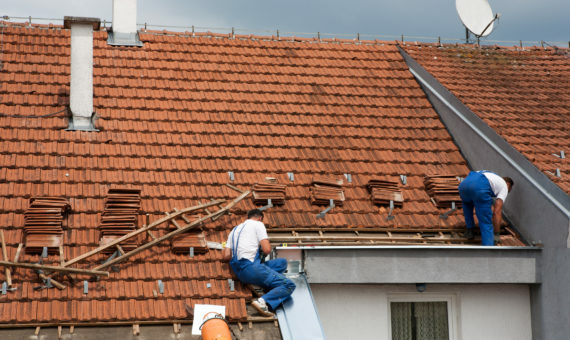 Our roofing contractors are experienced shingle roofers, working with tile, metal roofing and more. If you engage us to complete a Lewisville, Texas roof replacement assignment, you will have freedom of choice with regard to the exact roofing system that we install. All of our products are sourced from industry leaders, and they come with solid guarantees. Plus, we offer turnkey assistance, so we will deal with your homeowners insurance company for you if the roof replacement is covered under your policy. Contact Roofing and Remodeling of Dallas Today! As we have stated, customer service is very important to us, and our friendly, knowledgeable Lewisville, Texas roof leak repair and roof replacement specialists are standing by right now to assist you. You can reach one of them by phone at 972-231-7663, and you can click this link if you would prefer to get in touch with us over the Internet.